To say that Woodinville’s newest bourbon is great for Washington state’s whiskey industry merely starts the conversation. 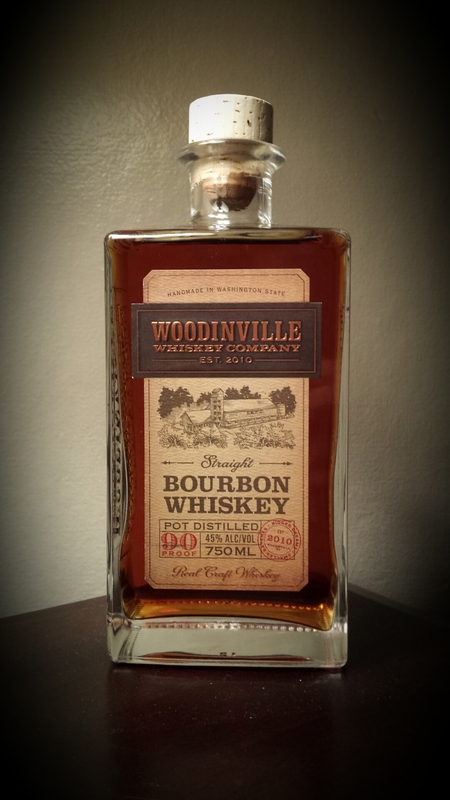 In this author’s opinion, Woodinville Straight Bourbon is a major step forward for the entire American craft whiskey industry, if I may be so bold. I should also stress that this opinion is not expressed flippantly or out of cheap enthusiasm, but from careful observation. Trust me, I’m a blogger. Simply called “Woodinville Straight Bourbon,” this bottling is not your typical 2-3 year old craft offering aged in a mixture of full size and small micro barrels (truthfully, micro barreling isn’t as common as it used to be). It is aged completely in full size, traditional 53 gallon barrels for 5 years. There is no other craft bourbon with that length of aging. More time in a full size barrel means more flavor development. This high rye mash bill, after a 4 day fermentation, is pot distilled rather than column distilled to afford the producer with more control over flavor. The resulting distillate then fills the seasoned 53 gallon white oak barrels from the Missouri based Independent Stave Company. Woodinville specified that their barrels be toasted first before the required charring (level 3 char, by the way). Toasting first essentially enlarges the “red” caramelized layer under the char for extra sweet oak extraction during maturation. Instead of aging on site in Woodinville, the barrels are instead freighted across the Cascade mountain range to slumber in central Washington for 5 years. The central region’s climate has the temperature extremes to maximize flavor extraction, yet the arid dryness remains, stealing nearly 30% of the barrel’s contents due to evaporation. Nose- Warm toffee, vanilla bean. Sweetness blankets this bourbon but does not dominate. The oak aromas are nicely layered underneath. Sugared citrus, confection like. Chocolate covered cherries. Sweet corn, touch of almonds. Spices of cinnamon and nutmeg are light. Beautiful nose. Taste- Sweet caramel, a gentle but flavorful mouthfeel. Tangerine. Perilously drinkable. Good balance. Light to medium body. Finish- Classic barrel char, of course. Medium length with a pleasing bitterness. Drying on the way out. I’ll have another. Comment- It appears that five Washington summers is enough to collect all these great flavors and bring them to an impeccable balance. A very enjoyable dram to say the least but allow me to get crazy: Woodinville just produced the new bourbon standard in Washington state and fired a shot across the rest of the US for craft bourbon quality. Well done, boys. Editor’s Note: This selection was purchased off the shelf per our policy and the review is 100% independent. So…. what is your SWC rating? Is this available outside of Washington? Specifically, anywhere in the Mid-West? Thanks and great review! Picked this up release day. Got a small sample to us warm at 630am on a Sat while waiting in line at the tasting room. Woodinville Whiskey Co has outdone themselves. A+ bourbon. But the question is, will you drink the signed bottle? No. That one will stay in the cherry box. I bought a second bottle to drink. Fantastic bourbon. A big improvement on the micro barreled version. The attention to detail really shows in the final product. This might just be my new favorite spirit. That is my favorite aspect of the new bottle, the contrast of taste and quality between the microbarreled version and this one. Glad to see a distillery pushing things forward. A craft distilled bourbon I can enjoy. 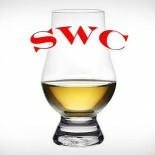 Will be visiting this distillery very soon. I just finished the bottle last night with a 60g pour. This is an exceptional bourbon. It doesn’t remind one exactly as a Kentucky bourbon, but is a truly delicious when drank neat. WW no longer needs to sell the micro-barreled version, and I think are no longer producing it. It’s time to buy another bottle, but I have unopened bottles of their Rye, Micro-barreled bourbon (getting harder to find, try Safeway), and American Whiskey. It reminded me of of a lighter Buffalo Trace. Agreed on no longer needing micro barrelled stuff. In fact, I think WW is doing that very thing. I have a bottle of Buffalo Trace and have found it not as satisfying as the WW 5-year. But, as you know, on some days the bourbon tastes better than on others.